INTERNATIONAL wool textile body leader and consultant Peter Ackroyd has failed to declare he is a paid advisor to Australian Wool Innovation in a letter exhorting growers not to reduce wool promotion spending. Mr Ackroyd has also indirectly brought Campaign For Wool patron Prince Charles into Australia’s wool levy debate as growers in the WoolPoll 2018 ballot decide whether to vary the compulsory 2pc levy that funds AWI’s global wool promotion and marketing campaigns. Mr Ackroyd is president of the International Wool Textile Organisation, which sees itself as the recognized global authority for standards in the wool textile industry, representing the interests of the global wool trade. 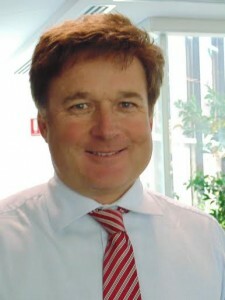 However, in the past 10 years Mr Ackroyd has also been paid up to $300,000 as AWI’s UK advisor. In what WoolProducers Australia vice president Ed Storey has labelled “a conflict”, Mr Ackroyd, under IWTO letterhead, has written to major media outlets about the future funding of wool promotion in Australia. “I know the Patron of the Campaign for Wool, HRH The Prince of Wales, very much shares this view,” Mr Ackroyd writes in the letter released last week. However, Mr Ackroyd failed to mention in his letter that AWI paid him $258,230 in 2016-17 for international fibre advocacy and also contributed $274,230 to the Campaign For Wool. On the IWTO website, AWI and its marketing arm The Woolmark Company are listed as IWTO members and the Campaign for Wool is mentioned among the body’s sponsors and partners. Mr Ackroyd has been retained by AWI as its UK advisor for about 10 years and since 2010 has been annually paid from $221,677, up to $306,510 in 2014-15. Debate is raging during WoolPoll 2018 about the impact of varying Australia’s wool to maintain, decrease or lift the current compulsory 2pc levy on gross proceeds for 2019-22. AWI wants growers to continue the 2pc levy, arguing that a levy of 1.5pc would mean cuts in programs, including marketing. However, peak grower body WoolProducers Australia and the Australian Wool Growers Association are lobbying for a 1.5pc levy vote, arguing increased wool prices, despite an expected fall in wool production, will boost levy income and allow an increased marketing spend at AWI’s current 60 percent levy income allocation for wool promotion. 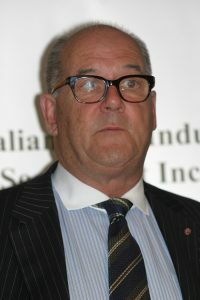 In his letter, Mr Ackroyd writes he has “read with interest several and varied views about the future funding of wool promotion in Australia on the pages of the specialist press.” He pointed out that other fibre sectors, such as cotton and viscose, have or are likely to increase their spending to boost their environmental credentials. “I pray that sense will prevail on the farms of Australia in the coming days and wool will continue to have the wherewithal to broadcast the TRUE environmental message to manufacturers and consumers,” he writes. Mr Storey said Mr Ackroyd does appear to represent the views of Campaign for Wool patron Prince Charles on wool promotion spending in his letter. 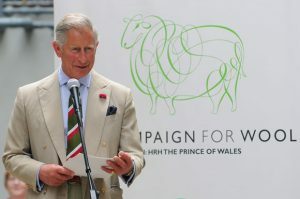 Campaign For Wool patron Prince Charles. Image – AWI. AWI CEO Stuart McCullough at the 2018 Australian Sheep and Wool Show. AWI chief executive officer Stuart McCullough said during a series of WoolPoll events across New South Wales that AWI programs had to be adjusted according to the revenue coming in. “It is not an easy business to wind up and wind back – it’s not easy to wind the expenditure up nor turn it back, but the bottomline is, if it goes to a 1.5pc vote and we are at 293 million kilograms and an 1850-cent (price) indicator, that’s a lot of money out of the business. “What you would do is start trimming it,” he said. In a letter to The Weekly Times this week, AWI chairman Wal Merriman said a reduction in the wool levy would reduce support for wool marketing, as well as for wild dog eradication, shearer training, and research and development projects aimed at future-proofing the industry. Mr Ackroyd’s letter is circulating as Prince Charle’s son, Prince Harry, and the prince’s wife Meghan, visited the drought-affected sheep property of Scott and Elaine Woodley at Wongarbon near Dubbo today. AWI earlier this month distributed to growers a letter from Prince Charles expressing his sadness at the impact the drought has had on wool growers throughout the country. “I cannot begin to imagine the anguish that those of you who have been affected by this climatic tragedy must be facing,” wrote The Prince of Wales. “I wanted you to know that you are very much in my thoughts at this difficult time. Click here to read IWTO president Peter Ackroyd’s letter. Sheep Central has sought further comment from Mr Ackroyd on his letter and from Prince Charles on global wool promotion spending. What a beat-up over nothing. Type of team: Executive Committee” ? There is no limit to those who have their fingers in the honey pot. 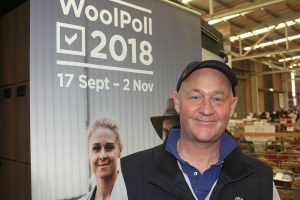 Wool growers, vote for a zero wool tax and keep your hard-earned cash at home where you will spend it far more wisely than the honey pot suckers. Terry, thank you for another informative piece. The sooner AWI is wound up the better. The gravy train just keeps on rolling. Here is another example of the self-interest by AWI with the comments from Peter Ackroyd. AWI won’t give the levy payers all the options to vote on, instead, choosing to protect and in courage the two percent option. $10 million would cover the few research projects that are needed. Most of the energy is being used up protecting the $100 million honey pot. There were 170 million sheep in 1990, mostly Merinos. Today, there are 67 million and what percentage is Merino, who knows? If we don’t get back to focusing on an easy care, fertile female, producing lambs that survive with good quality processing wools, it will be all over.